It was used to connect the gas stove and stable tightening was achieved. This review is about item#2192452. We purchased for repair of agriculture tractor, but nails did not open even if we applied considerable torque by maker really, but it seemed to be able to go, but loosened with the socket wrench first and loosened again with this because it was too wasteful After assembling with the final socket, repair is complete! This review is about item#2192531. There was no particular problem. I inserted a single pipe and used it for tightening the air conditioner flare nut. This review is about item#2192461. Even in places where the monkey does not enter, it can be loosened or tightened by turning it backward by 15 degrees at a time and taking time. This review is about item#2192486. I always bought it. I am very sorry for shipping soon. This review is about item#2192416. This review is about item#02192522. Purchased as T120R manifold lock nut turn. Since the thickness disturbs it was able to turn it with a little thickness. Triumph of this age is not 38 mm because it is a mixture such as wit, unify, etc. 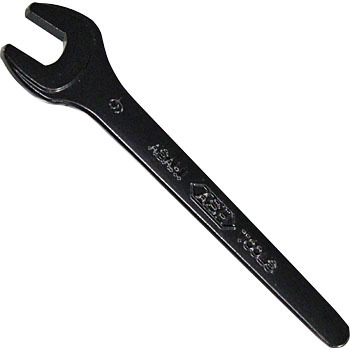 I think that it can be used as a 1/2 inch wrench. This review is about item#2192513. I bought it because this size was necessary for a tool to pull out the island field cassette BB. If it is Hom Sen, it is cheap to get it because it is over twice the price even if it is not sold or good. It is easy to use the perfect size, unlike the monkey, although there are few turns. The length was also just right, and the thickness of one end opening was perfect for the milling machine on hand as I thought. I think that it is better if the hole diameter vacant on the end face of the handle is a bit larger if it says the difficulty. It is a very strong and dependable tool. We plan to purchase other sizes as necessary. I am using heavy-duty vehicles and heavy machinery maintenance, but I am using it very securely and with confidence. Without exactly this you can not do the work itself. Since it is tapered from the end to apply the torque, there is no danger because the pipe stops at the position even if it is plugged in. There will not be any better than a dedicated jig. This review is about item#2192601. Easy to use, there is no quality problem at all. There are also hooks, convenient. This review is about item#2192522. The price was reasonable, and I found what I was looking for. This review is about item#2192477. Very easy to use. I want a hole of about 8 mm in diameter. I use it where I can not use eyeglasses. The nut, the contact surface to the bolt is wide and it is difficult to lose even if applying torque. It is certain that this price is quite good quality (on a practical side). This review is about item#02192391. I am satisfied with a firm build. This review is about item#02192312. This review is about item#02192416. There is no difference with the current product, so it is inexpensive so OK. This review is about item#02192434. This review is about item#02192452.